[Written across the page.] 20th. during the night a very heavy gale doing injury to Shipping and a very heavy fall of Snow. 9 A.M. it is still blowing very strongly indeed This will probably cause this packet to be late & only arrive together with the next. 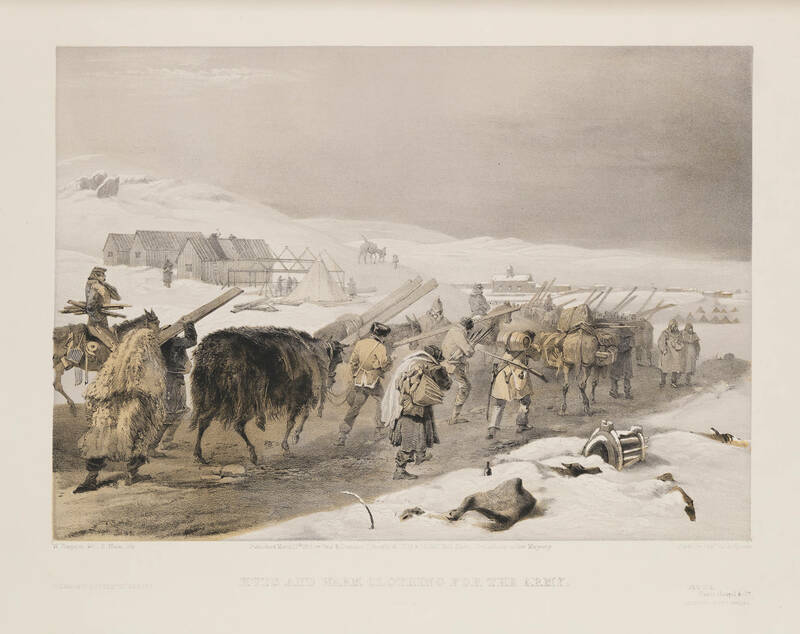 Huts and Warm Clothing for the Army, by William Simpson. http://digitalcollections.smu.edu/cdm/ref/collection/eaa/id/1363, accessed 6 May 2015.